Two Onki releases ? Yes, that is right. 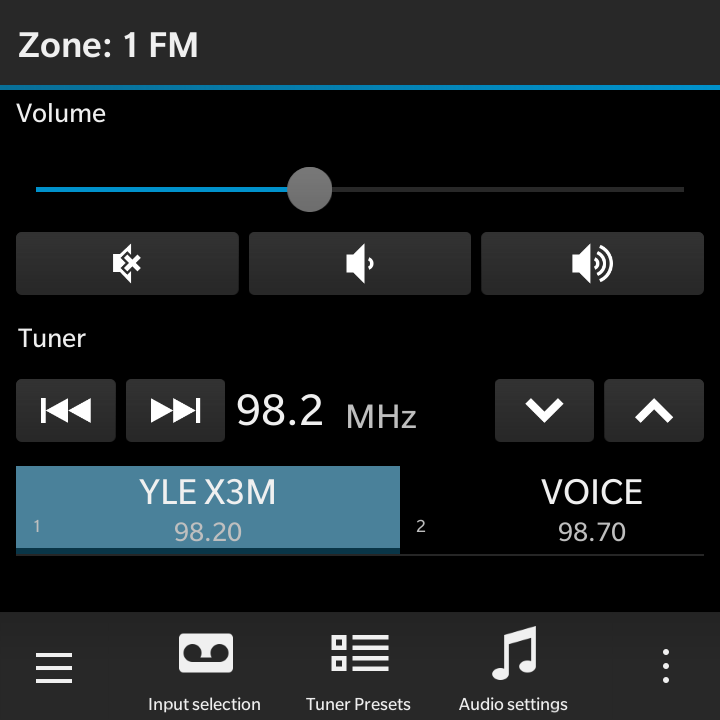 1.0.3 brings improvements to support for digital tuners, quick access to tuner presets, more keypad features, keyboard shortcuts (qwer) to Zone views and keypad view. The digital tuner features are unfortunately not tested as DAB is not available here (and devices we have access to don't support it anyway). 1.0.3 is also the last version to support 10.2 OS versions. The update is available on BlackBerry World. 1.0.4 requires OS 10.3.1 or later and brings mostly some minor cosmetic UI improvments. The update is now also available on BlackBerry World.